Michael Reynolds (foreground) and his father, Doug (at wheel), both of South Addison, haul lobster traps aboard the father's boat, the Michelle Ellen, in the summer of 2013. Calling all lobstermen who want to star in a reality TV show! A New York-based multimedia firm headed by “Today” show weather anchor Al Roker is seeking to develop a new reality or documentary TV show that would showcase lobster fishermen in Maine. “We’re seeking tough, active lobstermen: you could be a family who’s been fishing for generations [or] a new, hard-nosed skipper striking out on your own,” an announcement issued this week by the firm stated. Jason Watt, executive producer and owner of Watt Pictures and a partner with Al Roker Entertainment, said Roker’s company is in the process of developing a “pitch package” for the proposed show to take to potential network partners. Some talks with networks already have been held, he said Friday. The pitch package would identify prospective people and locations to be featured in the show and also include some edited video footage, among other things. The idea may be pitched to network officials as early as February, he said. Potential network partners include the History Channel, Discovery Channel and A&E. If the reality TV show comes to fruition, “it would be a boost to tourism and to Maine’s lobster industry,” said Vaughn Stinson, chief executive officer of the Maine Tourism Association. “In past projects I have been involved in that are profiling a subject such as this, it makes the people viewing it want to meet the characters and go to the places they have seen in the program,” added Stinson, who also serves on the board of directors of the newly formed Maine Lobster Marketing Collaborative. Watt said that it’s that television exposure and viewer interest that “helps businesses and communities” in the area. The production company contacted the Maine Lobstermen’s Association, which distributed information to members about the casting call, said Sarah Paquette, a spokesman for the trade organization. Patrice McCarron, the association’s executive director, and David Cousens, president of its board of directors, were not available for comment Friday. Watt said the genesis of the idea for the new show came as a result of spending some time in Maine last summer. He visited Jackman for a friend’s wedding and spoke with other guests about the lobster industry. “Of course, they had lobster everywhere,” he said. 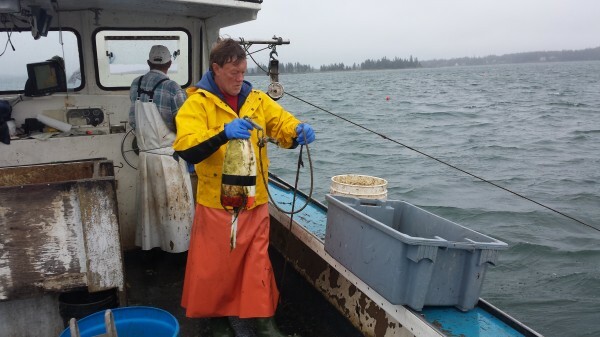 Since then, Watt said he has been learning about the culture surrounding the lobster industry. He has mainly been in contact with people in the Maine lobster industry by telephone. There has been a television show in the past about lobster fishing, he said, but it focused on fishing in federal waters. “I feel like — no pun intended — they sort of missed the boat on the show,” Watt said. A show may feature different groups or fishing families in various areas of the Maine coast. The network that purchases the program ultimately may decide if the show would focus on one fisherman and his family or several. If a network gets on board with the project promptly, production shooting could begin “when the weather turns from gross to good,” said Watt, suggesting March. Al Roker Entertainment has produced other reality TV programming, including three shows on the Weather Channel featuring the Coast Guard in Alaska, the Pacific Northwest and Florida. Interested lobster fishermen should email casting@alroker.com telling about themselves, why they would be a good fit for the show and include pictures.